Standing behind every piece of Travelpro® luggage is the belief in quality and craftsmanship that goes above and beyond industry standards. They've seen enough suitcases that couldn’t stand up to the demands of frequent travel to know how to make one that can. And to always ensure their suitcases do, they have dedicated extensive resources to their Quality Control Lab that puts each and every piece of luggage they make through a series of rigorous tests that dish out more distress than would ever be encountered under the most extreme travel conditions. 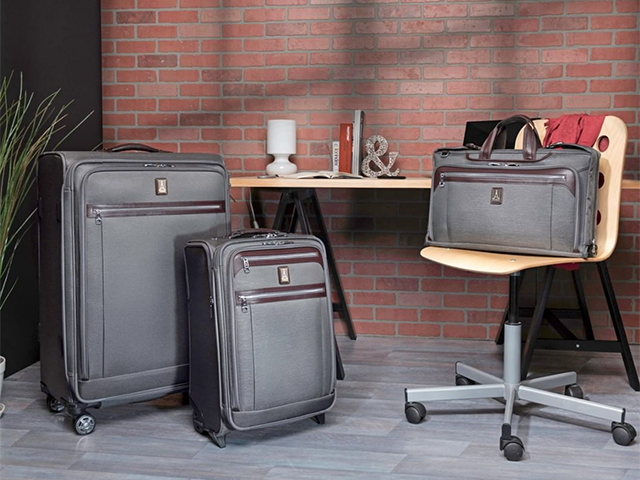 Their suitcases are tested above the maximum allowable weight for a checked bag and put through more than fifteen different trials, including distance, durability, and temperature to make sure all fabrics, wheels, zippers, handles, and overall bag design can exceed the toughest wear and tear from frequent travel. So when you choose Travelpro®, you know you’re getting a bag that is ready to handle anything you want to put it through.